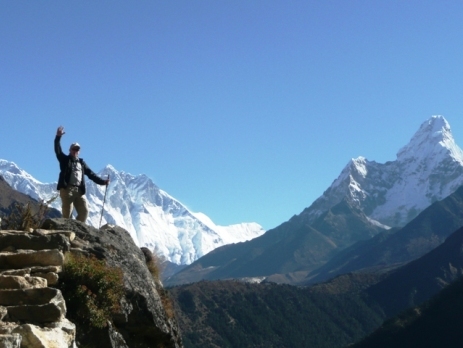 Here at Oyster, we’ve been sending volunteers and trekkers to Nepal since 2001. Over the years, we’ve picked up a lot of useful knowledge about the country from our own visits, our participants, and staff in Nepal. We’ve compiled our list of the top 19 things you probably didn’t know about Nepal, some of these are a bit bizarre, but useful nonetheless! 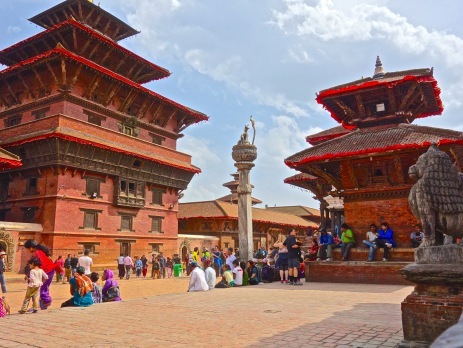 Nepal is a country that has a rich and distinct culture all of its own. Unlike India, it does not have a colonial history. For me, this is most evident when you look at the architecture of the buildings. It is said that the Himalayas were formed by the collision of the Indian and Eurasian tectonic plates some 50 million years ago, forcing the sea bed to rise up and create the highest mountain ranges in the world. This is proven by the fact that you can find fossilised sea shells at 3000m and higher in Nepal. Nepal lies between India and China. As these two super-powers grow, this could put Nepal in quite an important position from a geo-political point of view. Nepal is said to be the birthplace of Buddha, about 2,600 years ago. Nepal has the densest concentration of World Heritage sites in the world. Kathmandu alone has 7 within a 15km radius. Even though over 92% of energy comes from hydroelectric plants, much of Nepal still suffers power outages for up to 16 hours each day! Most companies and hotels rely on back up generators to run their operations. Take a good headtorch! We all know that Everest is the highest mountain in the world, but did you know that the Nepali name for Everest is ‘Sagarmartha’, meaning ‘forehead of the sky’? 44.6% of Nepali people speak the office language of Nepali. The more remote populations in Nepal speak a variety of regional languages. At the last census (2011), 123 spoken languages were listed as a mother tongue. Linked to #8, there are a total of 125 different castes and ethnic groups in Nepal. The Nepali greeting is not traditionally a handshake but rather put their hands together, bow their heads and say ‘Namaste’ which translates from the Hindu ‘I bow to the divine in you’. The Yeti – otherwise known as the ‘abominable snowman’, an ape-like creature, is said to roam Nepal but nobody has seen it! Cows are the national animal of Nepal and are considered sacred. As we would have pet dogs in the West, many families in Nepal will treat their cow in the same way – taking it for exercise and making sure it has a comfortable room to live in, sometimes connected to the family home. Given that the cow is sacred, Nepal is one of the only countries in the world to not have a McDonalds. 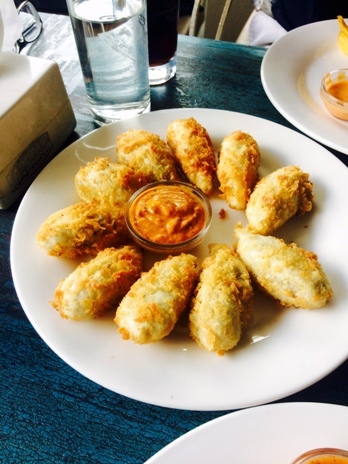 One of the most popular fast foods in Nepal is the Momo which is a type of dumpling with various fillings and can be steamed or fried – delicious! 8 out of the 10 highest mountains in the world are found in Nepal. The women in the Rana Tharu ethnic group are considered royal. The women still cook the food for their men folk, but serve it to them by pushing the plate with their feet. The Tharus tribe is indigenous to the low-lands of Nepal. They are the only community in the world to have immunity to malaria. This area of Nepal, close to Chitwan National Park, is one of the only areas of the country to have an issue with malaria carrying mosquitoes. Most of the artwork found in the traditional Buddhist structures around the country is designed and made by Hindu artisans from the Kathmandu Valley. Nepal is the oldest independent sovereign country in South Asia. The glass bead necklaces that Bharmin and Chhetri women wear after marriage are made by Muslim beaders, with glass beads that come from the Czech Republic. Nepal is country that should be on everyone’s travel bucket list. It has so much to offer, from the awe inspiring landscapes, the culture and some of the most friendly people on the planet. I challenge you to visit Nepal and come up with your own list of things people wouldn’t know about Nepal. It is a still a country that is steeped in mystery, there is so much for you to discover and I hope that this list has whet your appetite for further exploration! 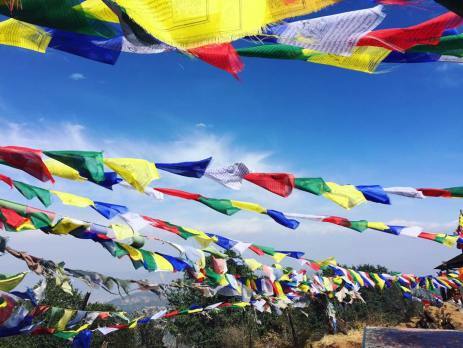 Oyster offers volunteer teaching programmes in the Kathmandu Valley, as well as being able to organise treks to Everest Base Camp and the Annapurna region of the Himalayas. For more information, give me a call on +44 (0) 1892 771972 or email me – [email protected].